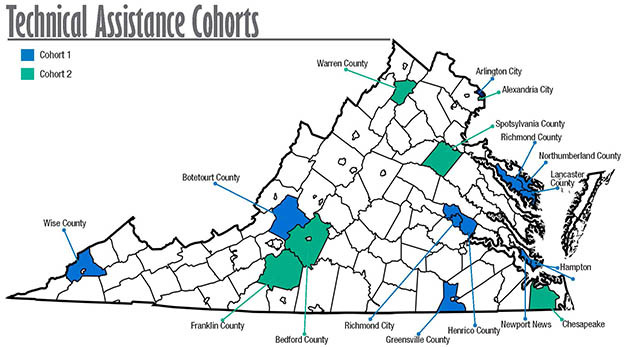 Click on the links below to find out more information on the 12 school divisions currently receiving Technical Assistance through VCU-ACE. You can learn about the division's vision, mission, and beliefs as well as see members of the Autism Services Improvement Team (ASIT). Each division has developed an ASIT consisting of individuals from different disciplines who have a vested interest in the education of students with ASD. Each team's composition varies; however, each member works towards goal implementation.